Richard H. Lam is a Partner in the firm's Litigation Practice Group. Mr. Lam specializes in public agency liability and business litigation. His practice is focused on civil litigation involving public projects, land use, code enforcement and residency. He represents clients in various matters including breach of contract, construction, labor/employment, eminent domain, and real estate. 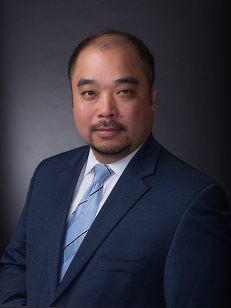 Mr. Lam also advises municipal entities on police and public safety issues involving peace officer procedural bill of rights, civil and criminal discovery requests, and lawsuits alleging violations of Civil Rights under the United States Code § 1983. Mr. Lam has litigated appellate cases before the California Court of Appeal. In 2010, Mr. Lam handled a case involving freedom of speech and the California constitution. Mr. Lam's interpretation the controversial anti-SLAPP statute (CCP § 425.16) helped shape the current law and the Court's opinion was published setting a legal precedence. Mr. Lam is well versed in transactional matters and local legislation including the Public Records Act, the Ralph M. Brown Act (Open Meetings for Local Legislative Bodies), the Local Agency Public Construction Act of the Public Contract Code, code enforcement, and receiverships under the Health & Safety Code. In particular, he has been involved in economic legislation regarding distressed properties and the housing market. Lynn et al. v. California Department of Transportation et al. (November 30, 2010) unpublished B222735. U.S. Supreme Court Rules That City Review of Employee Text Messages Was Reasonable, published in Western City Magazine, July 2010. Reading Employees' Text Messages: A Heads Up for Public Agencies, published in Western City Magazine, June 2010.